Great for organizing documents at home, at school or in the office. Durable wire construction maintains its shape for dependable reusability. 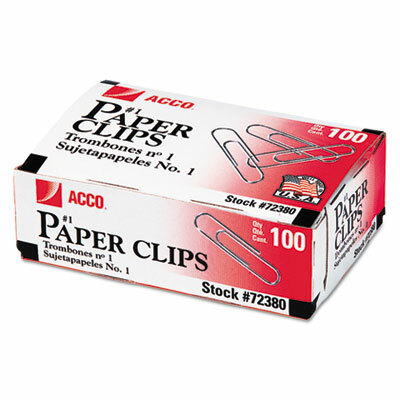 Ideal for organizing documents at home, at school or in the office. Traditional elliptical shape provides excellent holding power, and the durable wire construction maintains that shape, ensuring dependable reusability. Corrosion-resistant.